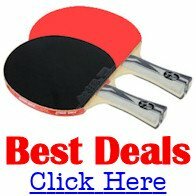 Rhode Island Table Tennis Association is located in the village of Manville, in the northern part of Lincoln, RI, USA. The club is open Monday, Tuesday, and Thursday nights from approximately 7:00pm to 10:30pm and Saturday afternoons. Mondays are reserved for the "A" league players, "B" leaguers and new players meet on Tuesday and Thursday is practice night and open to all. Players are welcome on any day. However, if you are new to the sport, we recommend your first visit be on a Thursday. No monthly or yearly membership is required. RITTA allows players to "pay as you play". The fee is $7.00 for league nights (Monday and Tuesday). For seniors 55 and over, the fee is $5.00. Thursday practice fee is $5.00. Wednesday night coaching is $6 before 8:30pm and $5 after 8:30pm. RITTA operates one of the oldest Table Tennis groups in New England. There has been a RITTA club in existence since 1945. The original club was in Providence. In the 1970s, the club moved to Warwick. In the 1980s, the present club in Manville was opened. 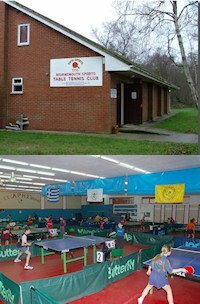 In the 1990s a satellite club was opened in East Greenwich but it is no longer in operation.